I am always researching new places to go, and this one has been on my list for so long that I don’t even remember how it first found its way onto it or why it stayed undone on the list for so long. 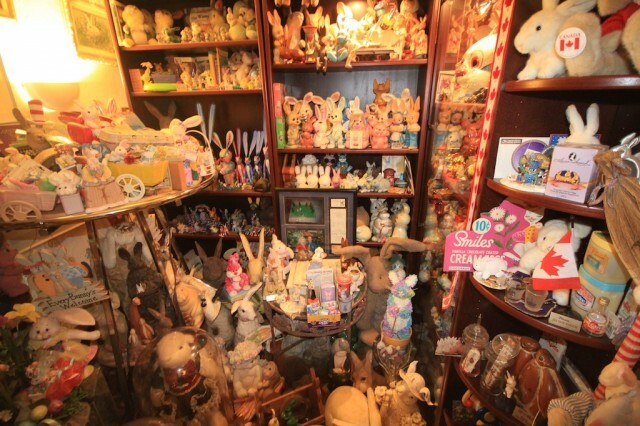 I guess I can say I was a little scared for what I would encounter when I entered this private residence of Candace and Steve that housed over 29,000 bunny collectibles (they hold a Guinness World Record for worlds largest bunny collection). 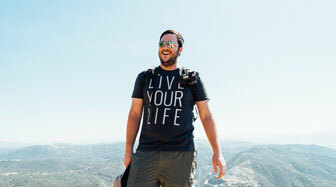 What greeted me was what I can describe as an unforgettable experience. 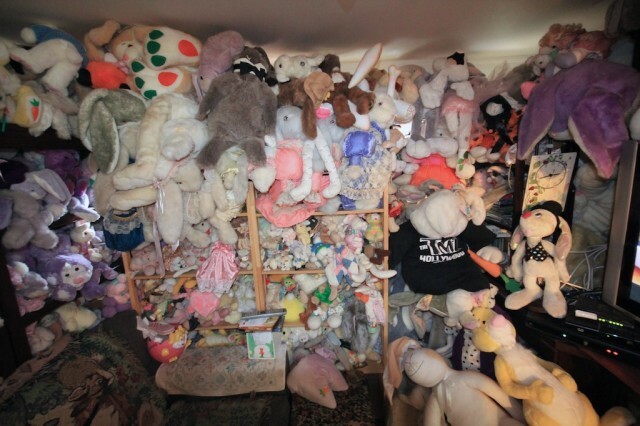 Over 14 years ago this museum was started as a simple gift given from Steve to Candace of a stuffed rabbit, she liked it so much that she gave him one back, and the museum began. 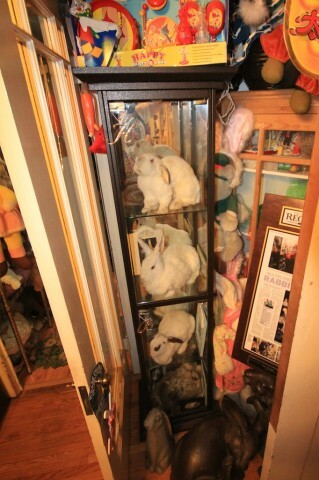 They even have the first two bunnies in a glass case you can see as soon as you come in. Currently, they give each other a new bunny every day. 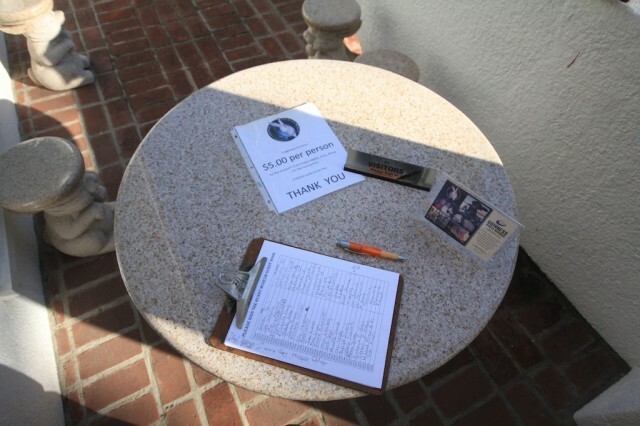 The museum tour starts by arriving at the front door, making your donation and signing the register. You can’t miss the house it has many different types of bunnies in the yard and signs on the door when you get up to it. 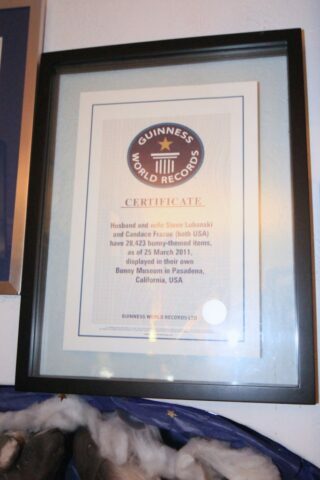 We were greeted by Candace who ushered us in and showed us the entryway to the house which has the Guinness World Record and the first two bunnies that started the collection. 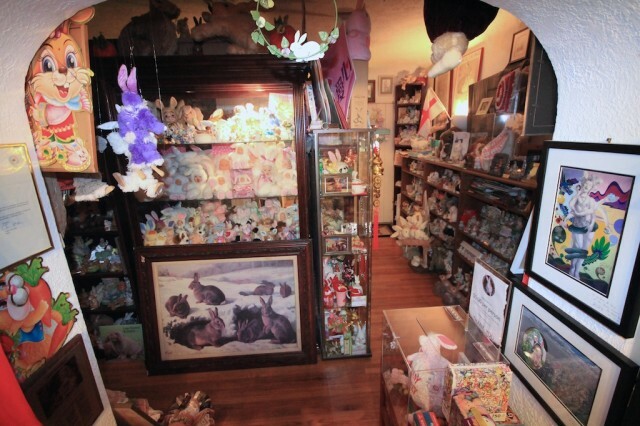 Candace is a super nice lady by the way who you can tell loves the collection. 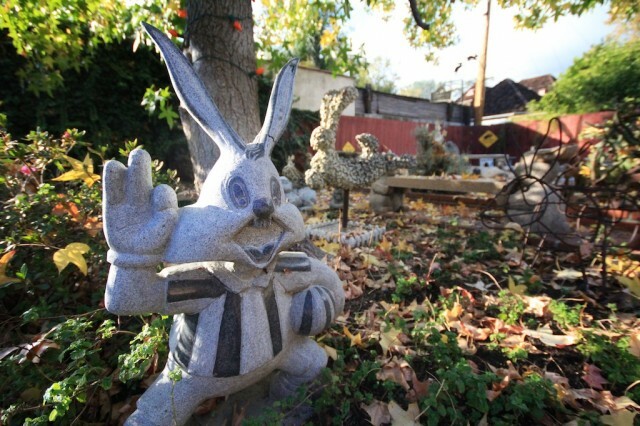 From there you proceed around the corner to “the pretenders,” which are bunnies with human faces. If you are reading this, I can only imagine how interesting this post is going to sound but stick with me. From there Candace let us wander around the house. 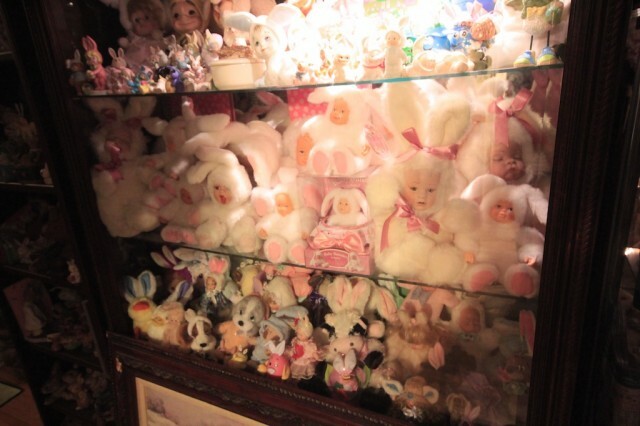 The first place we entered was the living room which had more bunnies than I have ever seen in my life, from floor to ceiling. 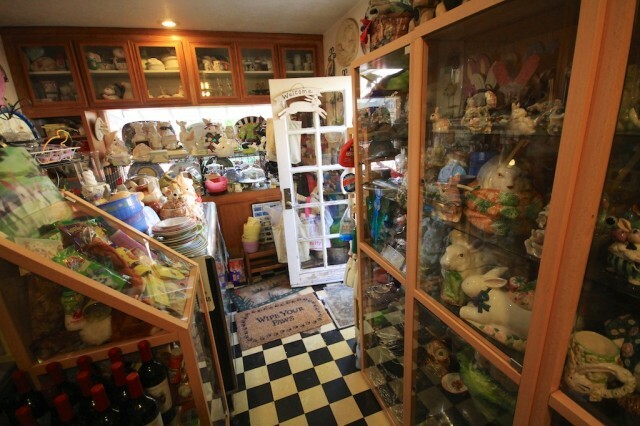 After that, we entered the dining room which had a bunny museum table, a collection of bunny salt and pepper shakers and about four stuffed bunnies that used to be their pets in glass cases. 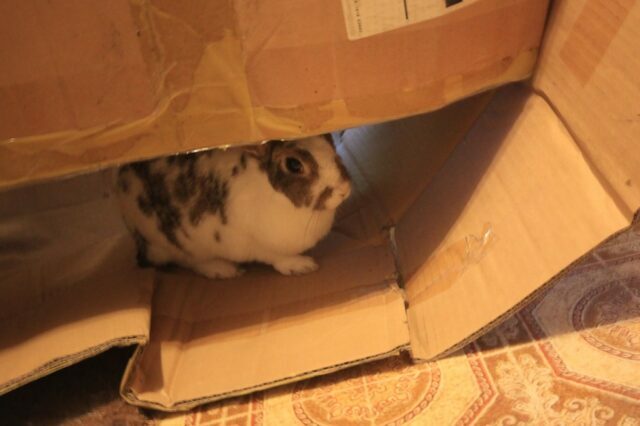 From there we went into the TV room which has a couch and a TV and a ton of bunnies. 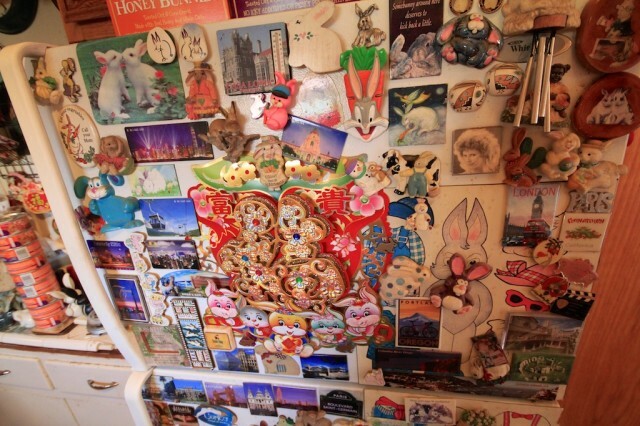 Then we went into the kitchen which has a fridge covered in bunny magnets and other kitchen related bunny products. 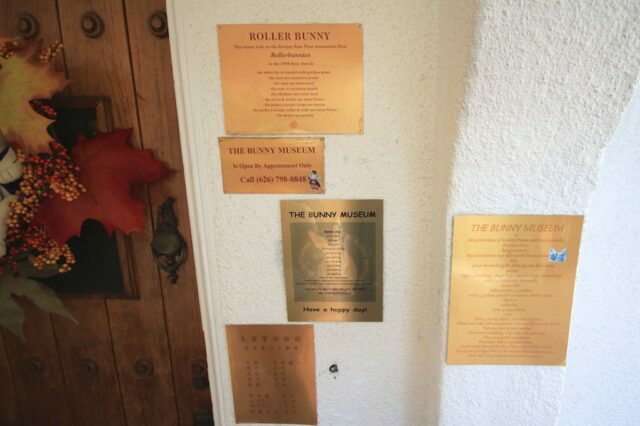 There were also a couple of real bunnies in the room next to the kitchen that you could pet. 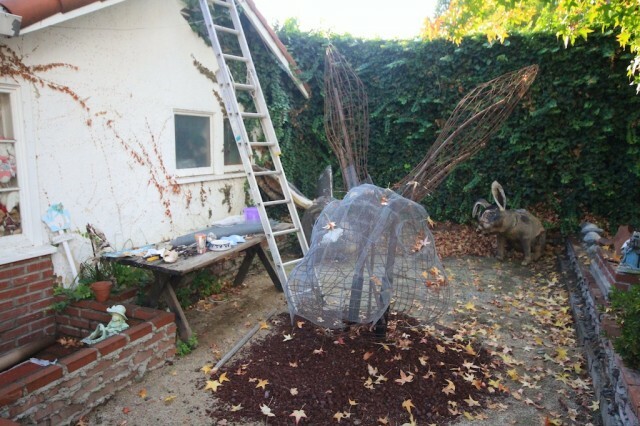 After that, we proceeded to the backyard which had a lot of outdoor bunny stuff including a massive metal bunny head that was a Rose Parade float bunny head that Candace is re-imagining into an art piece called “Big Bunny with Hare.” It’s not finished yet, but I am sure it will be unique. 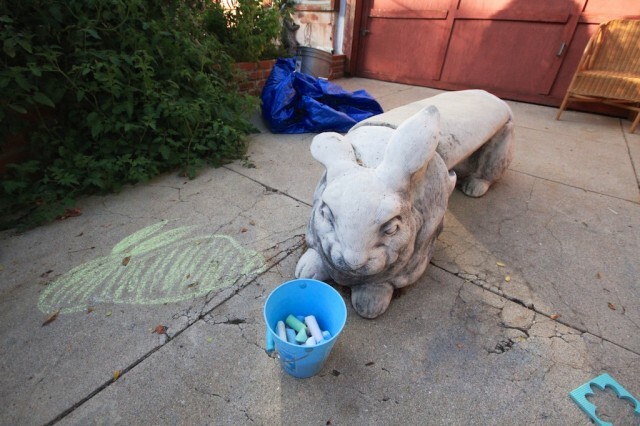 There was even an area with chalk where you could draw bunnies on the sidewalk. I ended up talking to Candace for a while, and she told me that she has had over 19,000 visitors to the museum and had news shows, blogs, and tourists stop by every day. 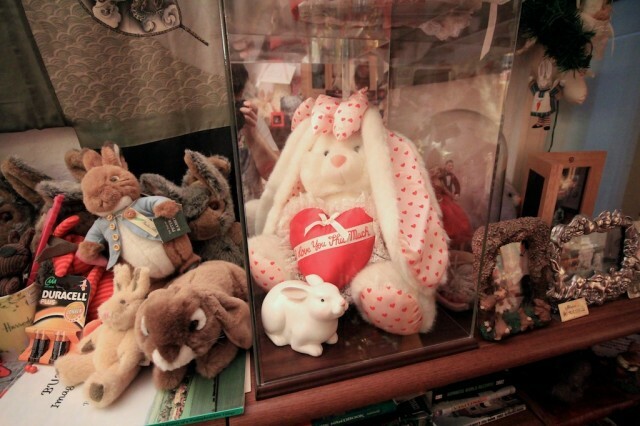 It is evident from the conversation that Candace loves bunnies and is very proud of the museum. She is a very nice person as well and was an excellent guide on our bunny tour. I can’t tell you whether or not this museum would be something you would enjoy, but I can tell you it will be a story you will tell your friends and a trip you will surely remember. 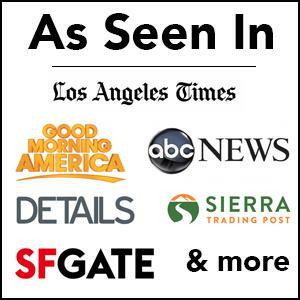 I have already told at least a dozen people about it just because it was such a strange but interesting experience that I thank my blog for pushing me to have. 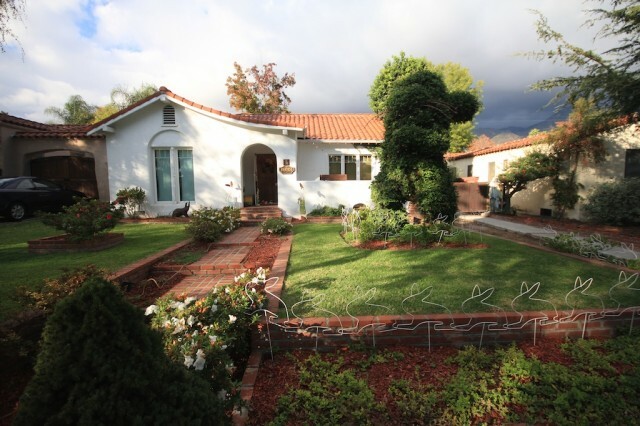 Check out the rest of the pictures below and leave me a comment with any questions.